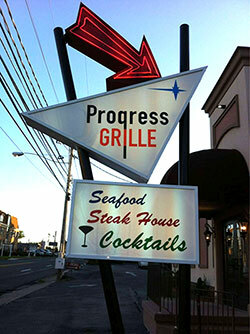 Progress Grill has been a staple in the Harrisburg area for over 70 years. However, 35 years ago is when brothers John and Nick Karagiannis took over Progress Grill and made it the fine dining experience it is today. John and Nick Karagiannis immigrated from Greece in their teenage years. Prior to moving to Harrisburg to chase “The American Dream”, the brothers learned to prepare and cook fresh food in their small farming village located in the remote mountains of Greece. After being in the restaurant business for several years, the brothers took a leap of faith and acquired Progress Grill. On the menu, you will find some Greek influences throughout the classic American fine dining cuisine that is offered today. 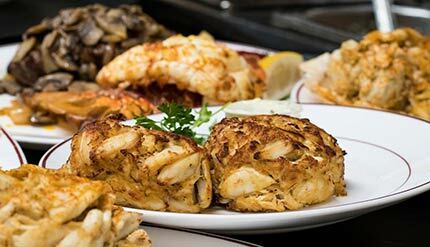 From our famous crab cakes to our tender prime rib, every item on the menu is prepared from scratch everyday. 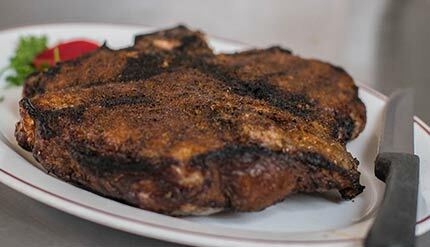 Consistency is Progress Grill’s key to success.